Over the past several years, there has been an explosion of bestselling acid/alkaline based diets. These have ranged from weight loss to diabetes management. 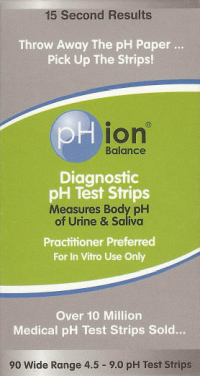 While hundreds of thousands of people have gone on diets that balance the pH level of the body, they have had to put up with the limited food guides contained in each pH diet book. Now, health experts Dr. Susan Brown and Larry Trivieri have created a complete resource for people wanting to widen their food choices. The Acid/Alkaline Food Guide offers health-conscious eaters an easy-to-follow guide to the most common foods that influence your body's pH levels. 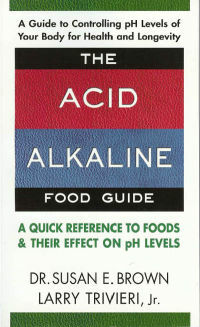 The book begins by explaining what the acid/alkaline of your body has to do with the acid/alkaline influence of foods. It then explains how the pH of foods, once eaten, may change in your body (for example, citric acid fruits, once digested, become alkaline). As complicated as this process is, the authors provide the guidelines for the analysis of the foods covered in the book. This section is then followed by a listing of thousands of foods and their acid/alkaline ranges. Included are insets and groups that can help the reader better direct their food searches. 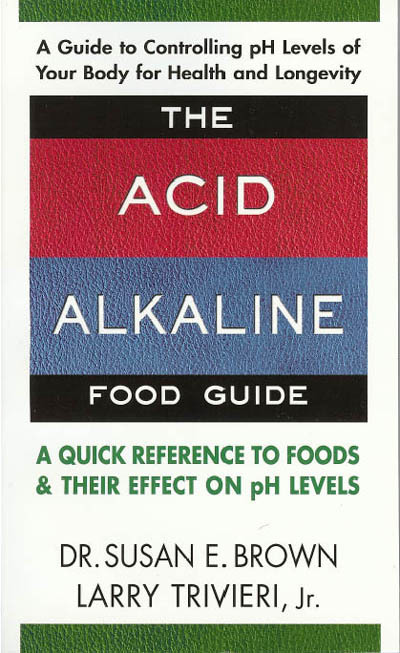 This is the first complete acid/alkaline food guide to include today's modern diet. It will quickly become the first resource to turn to when preparing meals or ordering food.